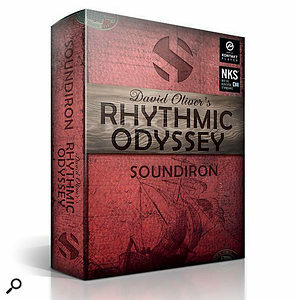 Rhythmic Odyssey represents a collaboration between Soundiron and the highly regarded UK-based percussionist David Oliver to develop a virtual instrument built around live percussion performances. The sound sources — and all the performances — are David's and span a huge range of both tuned and untuned instruments. In essence, the library is a collection of over 6600 individual performance loops, all recorded as 24-bit/48kHz WAV files and totalling some 12.5GB once installed. The loop collection is built from 100 rhythmic compositions, each of which features up to 12 layers. Users have access to the raw WAV files but also get the same material presented via a feature-rich Kontakt front-end (v.5.7.3 or later of either full or Player versions are supported). Let's start with the sound sources. These span conventional bass drums, daikos, a number of different box drums, large hand drums such as congas, bodhrans, and djembes, and small hand drums such as bongos, dhol, djembuka and udus. There are also various metal percussion instruments including agogo bells, cowbells, finger cymbals, standard cymbals and... well, bicycle spokes, tin cans, jerry cans and an oven grill, with miscellaneous extras including vibraslap, various tambourines, shakers, rattles, cabassa, a bucket and plastic engine tubing. This is an impressive array and, thankfully, is matched by equally impressive performances and recording quality. Isolated, or in combination, the loops sound full and fabulous. The front-end is perhaps a little quirky but comes in three different flavours — stereo mix, multi-track or single-track — allowing you to access the loop collection in different ways, but each provides plenty of scope for manipulating the loops and applying effects. The stereo mix and single-track modes provide pre-mixed loops or single loops to work with, while the multi-track mode (which was where I spent most of my time) allows you to work with up to four single loops in the same instance. In each case, however, you set a set of 'clip slots', each able to house a different loop, and with keyswitching between them. This makes it easy to build plenty of variety into an overall performance without needing multiple instances of Rhythmic Odyssey to be loaded. That flexibility goes a lot further, though, as each clip slot can also have its own settings for the various slice parameters and performance controls. There are lots of creative options here and, while the untreated loops give you an authentic natural sound, you don't have to stick with it. You can, for example, sequence volume, pan, pitch, ADSR, and filter cutoff/resonance on a per-slice basis for each clip slot. Equally, a whole range of effects are provided including EQ, dynamics, distortion and ambience. With the ability to trigger both the whole loop or individual slices, reverse playback, and options to match the host tempo via stretching or slicing, the sound design options are impressive. My guess is that Rhythmic Odyssey will most obviously appeal to media composers. In that regard, it is very competitively priced considering just what is on offer. The sounds would not be out of place in productions with the highest of budgets, but the workflow is efficient enough to help with the tightest of deadlines. 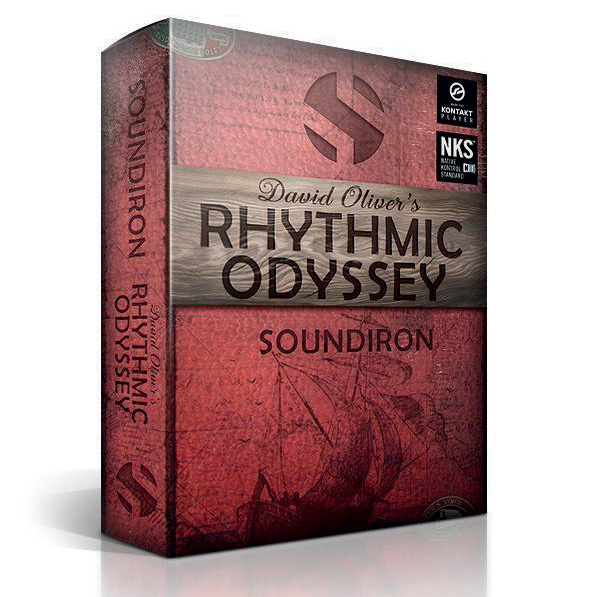 An excellent choice for those needing a quality source of inspiring hand percussion content.